Oticon Medical offers bone anchored hearing systems, which address the needs of different patient groups. Our solutions benefit people with hearing loss, specialized to address the needs of those who face the hardest hearing challenges. For clarification, the Streamer is now referred to as the Oticon Medical Streamer and the Oticon Medical Streamer connects to Ponto Plus and Ponto 3 sound processors. The Oticon Medical Streamer uses Bluetooth Low Energy (BLE) to reduce power consumption when connecting to mobile phones and other wireless devices. The Oticon Medical Streamer also uses Near Field Connectivity for short range connectivity. 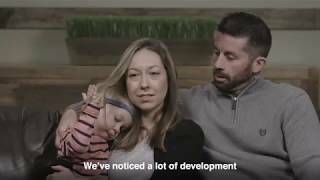 Families share their experiences on why it is important to try different hearing devices to ensure they choose the right fit for their child. SuperPower Made Beautiful. 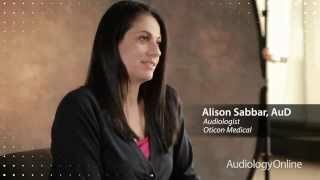 Here’s a look at the reactions from Ponto users on Oticon Medical’s most powerful abutment-level sound processor. 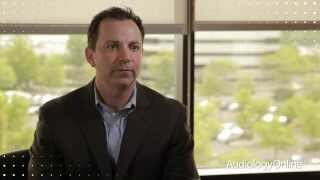 Alan Raffuaf, VP of Marketing from Oticon Medical shares why sound does matter. For more information, please visit www.oticonmedical.com. Alan Raffauf at Oticon Medical introduces Ponto Plus and Ponto Plus Power, their latest processors, as well as their Connectline wireless technology. Read more about Ponto Plus. 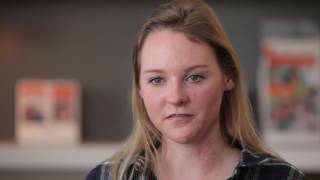 Kristine Siwek tells her story; how she lost her hearing, decided on the Oticon Medical Ponto system, and the results after becoming a long-term user. 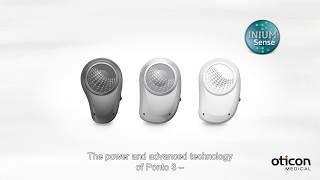 Alan Raffauf provides an introduction to the new Ponto processor from Oticon Medical, as well as an update on the direction Oticon Medical will be taking in future endeavors. February 22, 2019 Oticon Medical announces that Hildy Silverman has joined the team in the role of Digital Online Marketing Manager. August 21, 2018 Oticon Medical announces partnership with Your Hearing Network to help hearing professionals verify and submit claims for bone anchored hearing patients. July 30, 2018 Oticon Medical, a global company in implantable hearing solutions and a member of one of the world's largest groups of hearing healthcare companies, today announced that John Sparacio has been named President, Oticon Medical US. May 14, 2018 Oticon Medical introduces the new Safety Line for the Ponto Sound Processor to improve retention and reduce loss during physical activities. The Safety Line consists of a clip connected to an elastic line with a loop that attaches to both the Ponto Sound Processor and clothing. March 20, 2018 Oticon Medical has introduced a new, pre-assembled version of the company's popular Ponto Softband for bilateral users with two, ready-mounted connector plates for the Ponto Sound Processor. December 18, 2017 Your Hearing Network (YHN) has announced a long-term strategy to enable William Demant’s US-based businesses to deliver innovative solutions that meet the needs and preferences of independent hearing care professionals in communities across the US. 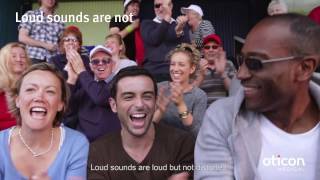 March 24, 2017 Oticon Medical, a global company focused on implantable hearing solutions, is excited to introduce the new Ponto Softband that enables access to the renowned sound quality offered by Ponto sound processors. February 21, 2017 February 8, 2017. Today, Oticon owner William Demant honored engineers and scientists for their efforts in 2016 in R&D within the fields of audiology, cognitive science, algorithms, software, acoustics and electro mechanics. Almost 200 employees, representing 55 patents, were awarded and for the first time ever, William Demant appointed a Fellow by honoring senior scientist Thomas Lunner for his contributions to cognitive hearing science as his latest major achievement in a long career with many great achievements. February 13, 2017 Oticon Medical has recently introduced the world's most powerful abutment-level sound processor, Ponto 3 SuperPower. December 13, 2016 Oticon Medical is pleased to announce its support as a platinum sponsor of OSSEO 2017, the 6th International Congress on Bone Conduction and related Technologies. October 13, 2016 Bringing BrainHearing™ to bone anchored solutions and highest output, widest bandwidth and significantly better speech understanding.Gothenburg, Sweden October 13 – Oticon Medical announced today that it has obtained 510(k) clearance from the U.S. Food and Drug Administration (FDA) to market the powerful new Ponto 3 Bone Anchored Sound Processor family. February 10, 2016 No surgery, seamless fit with existing abutments for unprecedented freedom of choice in bone anchored hearing solutions.SOMERSET, NJ February 8 -- Oticon Medical announced today that it has obtained 510(k) clearance from the U.S. FDA. Oticon Medical Appoints Jared Schnackenberg to New Position of President, Oticon Medical U.S.
March 18, 2019 Joanne Restivo, AuD, CCC-A Listeners will understand the Ponto 3 SuperPower fittings range, as well as the benefits of choosing this device. Listeners will obtain a good understanding of how and why the candidacy range for this power device is so large. December 21, 2018 Gabrielle Simone, AuD, CCC-A A review of wireless technology used in today’s hearing devices and a discussion of how easy it is to connect to the Oticon Medical Ponto via the streamer. 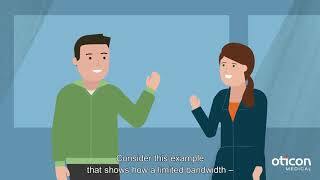 An overview of the streamer functions as well as information regarding FM connectivity and compatibility is also covered. April 16, 2018 Barinder Samra, MSc A review of Bone Anchored Hearing System patient indications, benefits, and candidacy, as well as considerations for selecting and fitting these systems. February 26, 2018 Marcus Holmberg, PhD This course will present the scientific basis for BrainHearing and how that relates to the Ponto family and bone anchored hearing devices in general. We strongly believe that a higher maximum output should be one of the most important decision factors for patients, and will discuss how different user groups will benefit from this. June 12, 2017 Tove Rosenbom, MA An overview of Ponto 3 superpower bone anchored hearing system, patient benefits, outcomes with its directionality system, and fitting aspects for professionals. January 20, 2017 Jaime Leigh Westbrook, AuD The Ponto 3 Family of sound processors are the definition of power. 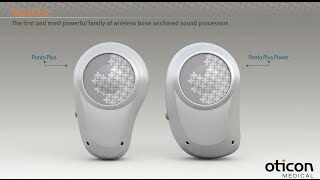 In fact, they are the most powerful family of abutment-level sound processors available. October 31, 2016 Mary Humitz, AuD, CCC-A, FAAA, Melissa Tumblin Having unilateral hearing loss is like having an invisible disability. Although the person can still hear, communicate and respond in many situations, they are often missing out on much of what is said, especially in dynamic listening situations. People with unilateral hearing loss may have to work extra hard to figure out what they have missed in conversation. There may be a delay in their response time, as they are continually trying to make sense of what was just said. This can be exhausting, as their brain is compensating to fill in the blanks of conversations. May 27, 2016 Mary Humitz, AuD, CCC-A, FAAA Today, I will begin with the fundamentals of bone anchored technology including an overview of osseointegration, and that will give us the foundation to discuss patient candidacy as well as surgical and fitting considerations. I will review Ponto practicalities, such as how the processor was designed to be durable and reliable – which is especially important when we fit children. I will talk about the signal processing in the Ponto processors and present evidence that supports how it benefits our youngest bone anchored patients. When fitting children with amplification, what is the goal? February 8, 2016 Marcus Holmberg, PhD Dr. Holmberg: Today’s course will focus on why we have developed minimally invasive Ponto surgery (MIPS), how it is done, the preclinical clinical results, as well as patient benefits. We’ll start with indications and benefits of bone anchored hearing implants. Then, we will discuss the MIPS in detail, why it's done, review the new instrumentation and components, and show how surgery is performed. It may be helpful for you to explain this to patients that might be anxious about undergoing surgery. I will also go over results from the development work and clinical work we've been doing for the past two years, and I’ll save time for questions and answers at the end. December 14, 2015 Melissa Tumblin, Ann Pipes Liz Presson: At Oticon Medical, through our work with patients and their families, we understand that the decision-making process for bone anchored hearing solutions for children (and for hearing solutions for children, in general) is a journey that is not always easy to navigate. It is an incredibly important journey for parents, in order to help their children achieve their full potential. Instead of talking about that decision-making process as a professional, I am joined by Melissa Tumblin and Anne Pipes who will provide you with their perspectives as parents. May 19, 2014 Jaime Leigh Westbrook, AuD Our agenda will cover a brief introduction to our company and review of some candidacy guidelines for bone anchored devices, followed by a discussion of some of the key features of our Ponto Plus processors. After that, we will talk about the Ponto Streamer and wireless connectivity, and then finish with information about the Ponto implant system and an outline of the tissue preservation surgery technique. 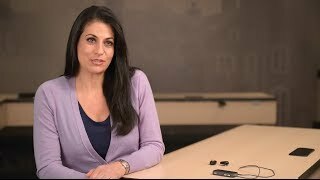 March 11, 2019 Gabrielle Simone, AuD, CCC-A Are Oticon Ponto devices compatible with FM via the Ponto Streamer? 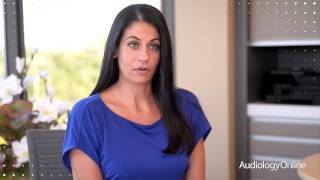 February 11, 2019 Gabrielle Simone, AuD, CCC-A Are the Oticon ConnectLine accessories compatible with Ponto devices? January 7, 2019 Gabrielle Simone, AuD, CCC-A Does the Oticon Medical Streamer work with Oticon products? 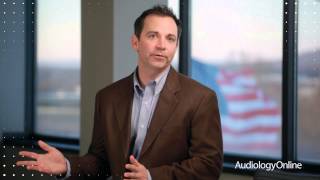 What is BrainHearing, and Why is it Our Guiding Star at Oticon Medical? 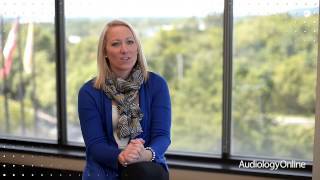 September 24, 2018 Mary Humitz, AuD, CCC-A, FAAA, Melissa Tumblin What is BrainHearing, and why is it our guiding star at Oticon Medical? Hearing Loss in Only One Ear, "What's the Big Deal?" How Do We Determine Bone Conduction Candidacy in Children? 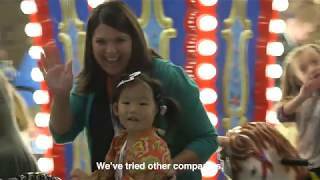 July 30, 2018 Mary Humitz, AuD, CCC-A, FAAA, Melissa Tumblin How do we determine bone conduction candidacy in children? June 25, 2018 Barinder Samra, MSc Are people with single sided deafness candidates for bone anchored hearing systems? May 14, 2018 Barinder Samra, MSc What are some examples of audiological issues that would make a person a good candidate for a bone anchored hearing system? April 2, 2018 Barinder Samra, MSc Who are candidates for a Bone Anchored Hearing System? December 18, 2017 Marcus Holmberg, PhD Do all bone anchored system users benefit from higher maximum output? November 13, 2017 Marcus Holmberg, PhD Who can benefit from a Ponto 3 SuperPower? September 20, 2017 Alan Raffauf, MA What is meant by BrainHearing? We hear with our ears, not with our brains. August 21, 2017 Harold Kim, MD What is MIPS and how is it different from traditional bone anchored implant surgery? March 27, 2017 Alan Raffauf, MA Ponto 3, Ponto 3 Power, or Ponto 3 SuperPower – what should I fit on my pediatric patients? February 1, 2017 Alan Raffauf, MA For a four-year-old boy with microtia and atresia in his right ear and a conductive hearing loss who will wear a sound processor on a Softband - is Ponto 3 or Ponto 3 SuperPower recommended? 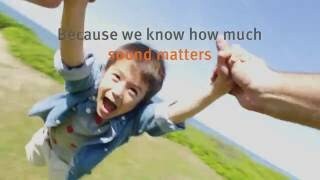 November 14, 2016 Mary Humitz, AuD, CCC-A, FAAA What is the youngest age a child can be fit with a bone anchored hearing system? September 26, 2016 Rebecca Cihocki, AuD What are the benefits of the new soft healing cap with the Oticon Medical Ponto system? August 29, 2016 Mary Humitz, AuD, CCC-A, FAAA What is the battery life of the Oticon Medical Streamer? July 25, 2016 Jaime Leigh Westbrook, AuD With Minimally Invasive Ponto Surgery, does the hair still need to be removed around the periphery of the abutment site? March 21, 2016 Ravi Sockalingam, PhD Are there any long-term indications for the temporal bone for bone anchored hearing systems in children? 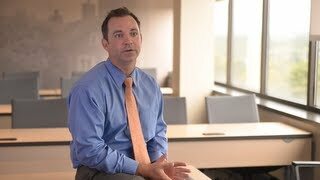 October 1, 2018 Patrick D. Vincent Interview with Patrick Vincent, Director of Operations for Your Hearing Network regarding the partnership with Oticon Medical.